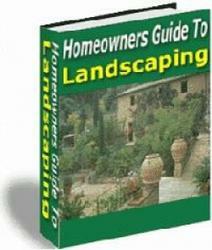 Deciduous and evergreen shrubs are an important part of most home landscapes. Planted in groups, they create screens and barriers or serve as foundation plantings or understory plants beneath trees. Although most shrubs work best in groups, they may also be used as accents - accent shrubs can help lead visitors to your entrance, for example. Masses of shrubs effectively delineate different use areas in the yard, much as walls delineate the rooms of a house. A heavy planting of shrubs at house corners softens the transition between vertical walls and horizontal ground lines. Foundation plantings should enhance your overall landscape design. Generally, it's not good design practice to surround a house completely with foundation plants unless you need to screen an unsightly foundation. For under windows and eaves, select foundation plants that will not be too tall when mature. Taller plants may shade out understory plants, so select shade-tolerant shrubs for use as understory plants. You can create seasonal variety with combination plantings of evergreen and deciduous shrubs. Remember that landscapes have a more unified appearance when green-foliaged plants predominate. Shrubs with red, purple, yellow or silver summer foliage can become unintended "focal points" and detract from your landscape design. 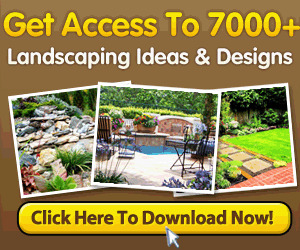 It's better to select accent shrubs based on flower, fruit, bark and fall leaf color. You can unify your landscape by planting the same kinds of shrubs in several different locations. Avoid planting shrubs too close together - size at maturity should determine spacing. Don't give in to the desire to achieve the mass effect of a group planting too rapidly. A mature landscape cannot be created in one growing season. It will require at least three years, perhaps five, before a group planting achieves its intended effect. Tall shrubs are usually planted 5-7 feet apart, medium shrubs 3-5 feet apart and low shrubs 2-3 feet apart. 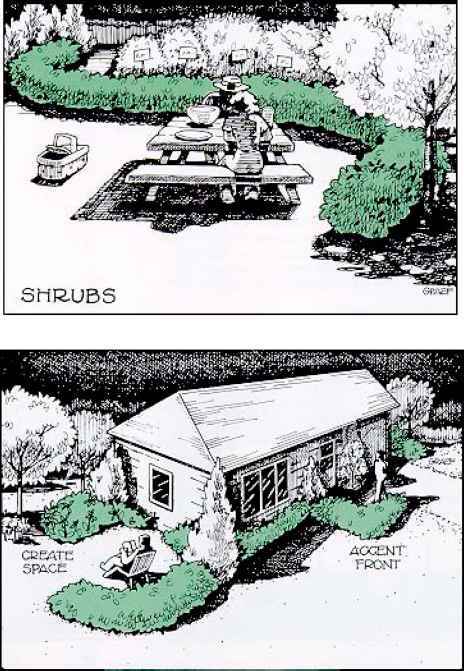 Place shrubs slightly more than one-half their ultimate spread away from the foundation so they can attain their natural forms.